KANSAS CITY, Mo. 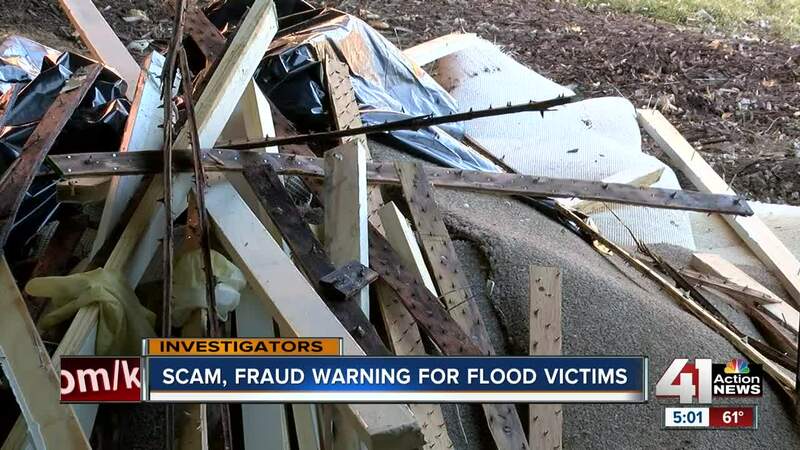 — Following serious flooding problems in Missouri, Attorney General Eric Schmitt is warning the state's consumers about possible scams and fraud. He's also issued a list of tips so residents can avoid becoming scam or fraud victims. Here's Schmitt's list of tips. 1. Get everything in writing. Thoroughly review your contract. Know the start and end date. 2. Research the company before you sign a contract. Get all their contact information. 3. Beware of anyone who looks or acts unprofessional or offers to save you money by using materials left over from another job. Storm chasers are very common after disasters. 7. Make sure your insurance company is working with you to provide the proper estimate and coverage under your policy. Missouri law prohibits individuals and businesses from substantially raising their prices for the necessities of life during an emergency. Consumers need to be aware of products that see a large increase in prices. This could include food, water, gasoline, hotel rooms, kerosene, gas powered generators, and other basic necessities. 1. Watch out for charities that use names closely resembling legitimate charities. 2. Don’t commit over the phone unless you have investigated the legitimacy of the organization. 3. Avoid cash donations and make checks payable to the organization, not to an individual. 4. When in doubt, call the charity and ask them if they are aware of the solicitations being done in their name. For additional information or to file a complaint, residents can contact the Attorney General's Consumer Protection Hotline at 800-392-8222 or visit the agency's website at ago.mo.gov.